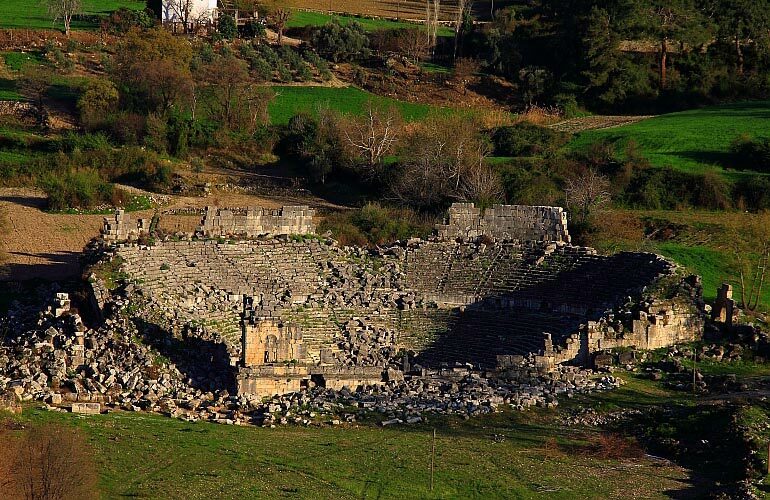 Tlos city is atop an rocky outcrop that slopes up from a plateau from a modern village, but ends on the west, north and northeast in almost perpendicular cliffs. 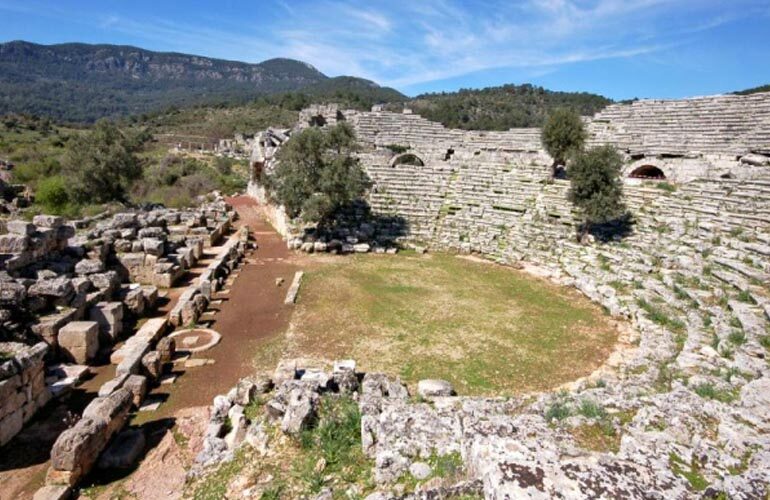 It one of few Lycian cities to be continually inhabited up until the 19th century by Romans, Byzantines and eventually Ottoman Turks. 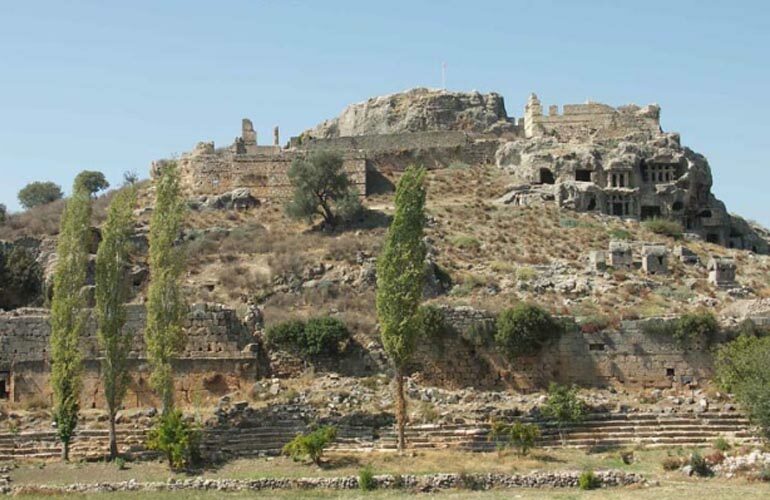 The influence of many cultures upon Tlos has resulted in a patchwork of structures dominated by an acropolis and fortress. 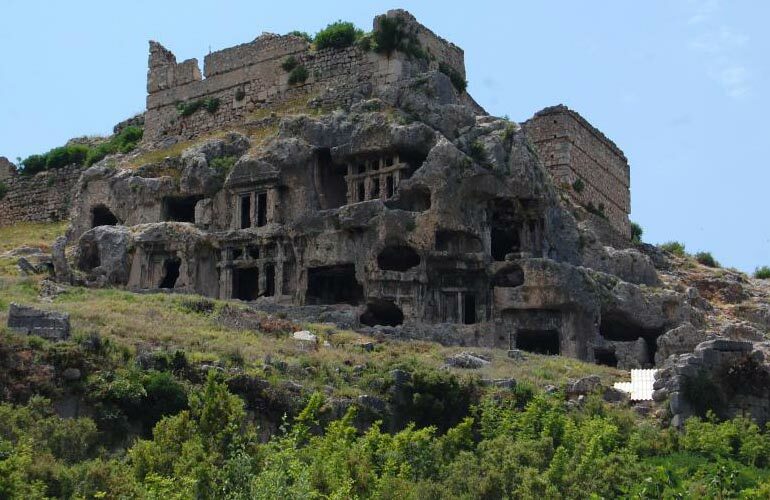 On the slopes leading up to the acropolis are numerous Lycian sarcophagi and many house- and temple-type tombs cut into the face of the hill. One such is the Tomb of Bellerophon, a large temple-type tomb with an unfinished facade of four columns featuring a relief in its porch of the legendary hero Bellerophon riding his winged horse Pegasus. A carving of a lion or leopard is inside the tomb.